What could be more fitting than a foundation that keeps your skin looking like skin but better? Perhaps a good, and more millennial way of looking at it would be a filter for your face, or even face tune IRL! 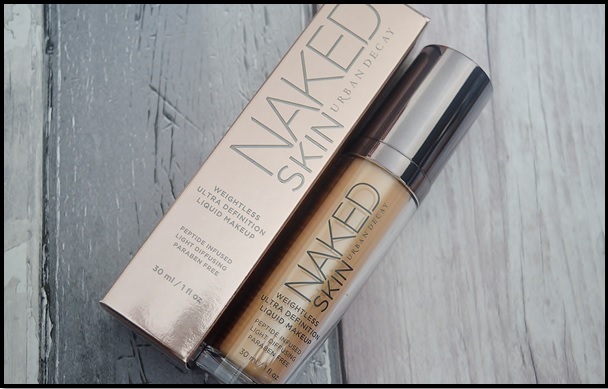 Well ladies and gents I may have found something for just that, the Naked Skin Foundation by Urban Decay. I picked this up in the shade 0.5 (the lightest in case you were wondering!) and at first I was mixing this with my tried and trusted Arbonne foundation, dotting it around sparingly and then blending it using a dampened beauty blender. 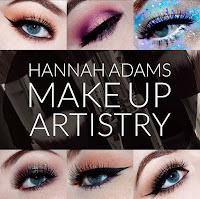 This helped give me a true airbrushed, high coverage finish, dewy in all of the right places and is now my 'go to' party or evening look. However the Naked foundation on it's own I would say is a relatively medium coverage and offers a more dewy finish than a matte - which is great for my quite dry skin - but perhaps that is due to the way in which I am applying it (beatuty blender spritzed with MACs Fix+) I think this foundation also offers a radiance I haven't experienced with many other products and is complimented beautifully by the Naked concealer for highlighting dem cheekbones! Will I repurchase this foundation? Probably, I find it works quite well for me, particularly so when I mix it with my gentler Arbonne foundation. Though I have been working on this tube for a good while now with no signs of it finishing any time soon so I won't have to rush out to my local Urban Decay Counter any time soon. Well guys again I hope you have liked my latest justification for spending so much money on make up post, I will be bringing you even more of these in the coming weeks so be sure to keep an eye out for those over on Bloglovin, read about the upcoming products I'll be buying and justifying over on Twitter or you can see my buyers remorse faces on Instagram. Until next time folks, don't look now! I'm naked!